This is not a race, but still, I'm rooting for my tree to stay in the lead! Not much difference, if any. But those buds in the left corner of the picture do look a little further along. 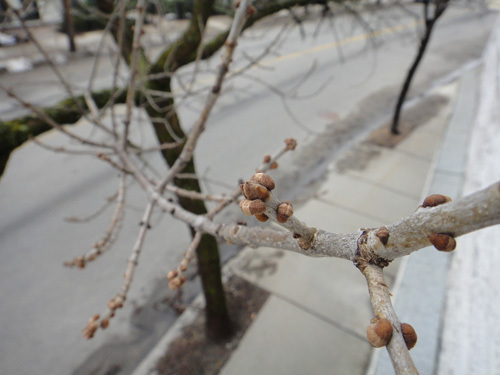 There's more snow expected tonight, so I'm guessing these buds will stay in the slow lane for a while still. 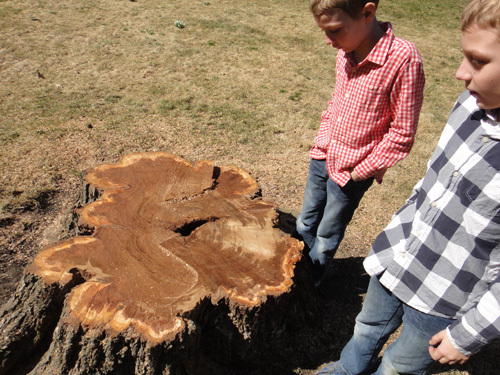 My kids and I stopped by the Olmsted site yesterday to see the Olmsted Elm one last time before they took it down. 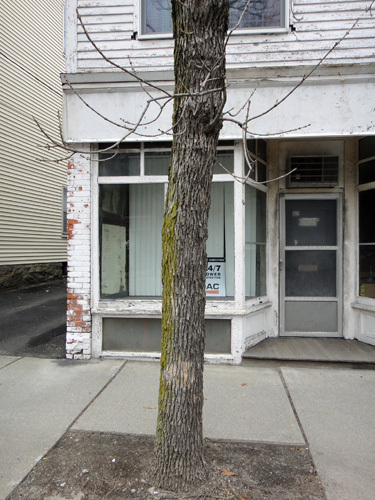 (See my post from yesterday for more information on the tree.) We were instructed to stay at least 20 feet away from the trunk for our safety. 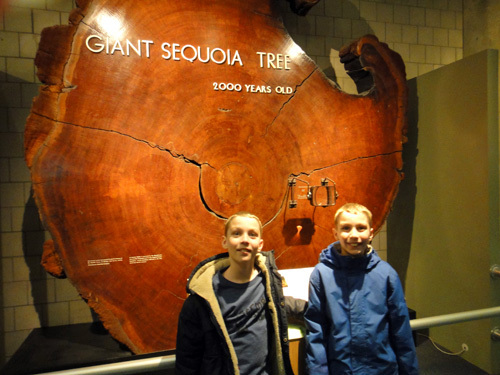 The boys wanted to show me some of the things they'd seen on their field trip here last year. 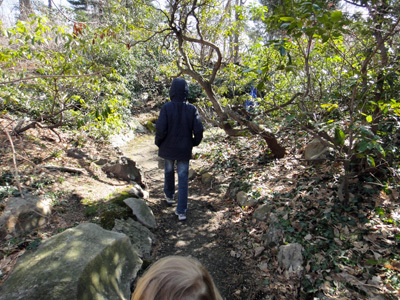 Lovely winding rock paths to the tree and through a flower garden (no flowers yet). And then we took one last look. 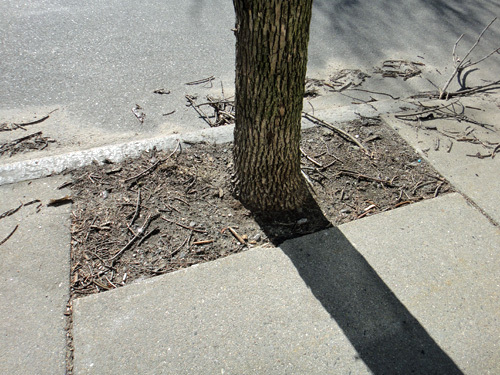 Just a stump left. A very big one. 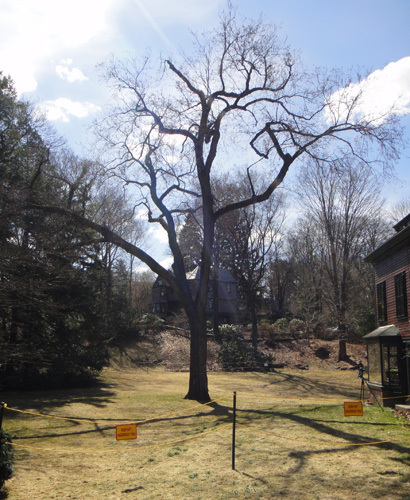 Bye, bye old elm tree. Now you can only see it on the sign. 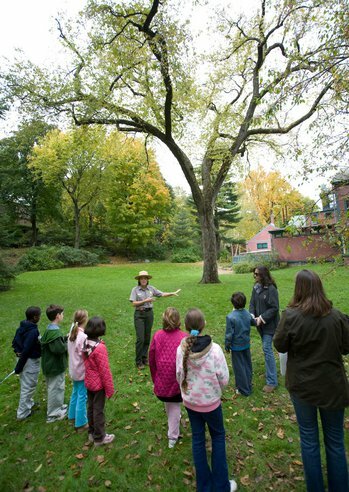 Recent articles in the Boston Globe and our local Brookline Tab have reported that a historic elm tree will soon be cut down on the grounds of the Frederick Law Olmsted National Historic site. 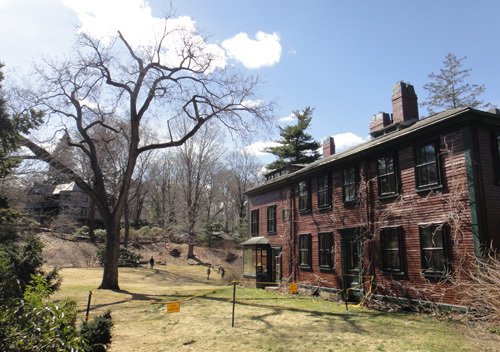 Frederick Law Olmsted is considered to be the father of American landscape architecture, designing New York City's Central Park along with the Emerald Necklace here in Boston. 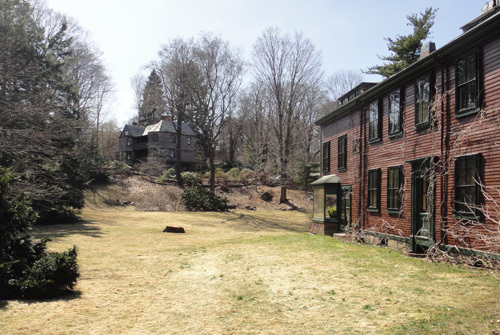 His home was here in Brookline and is a popular destination for school field trips. 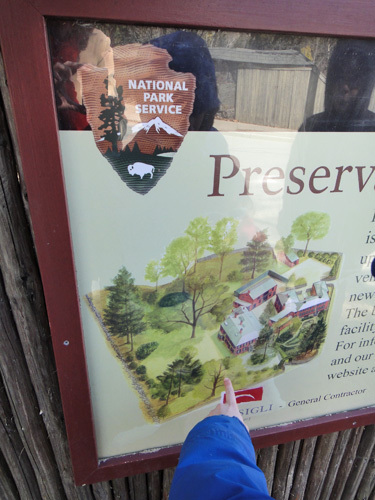 In fact, my twin boys went on a series of field trips in 3rd grade during a unit on Boston history which included Fenway park, the Freedom Trail, a local beach and the Olmsted site. And guess which one was their favorite. You just can't top nature at its finest! There's not much change to report. 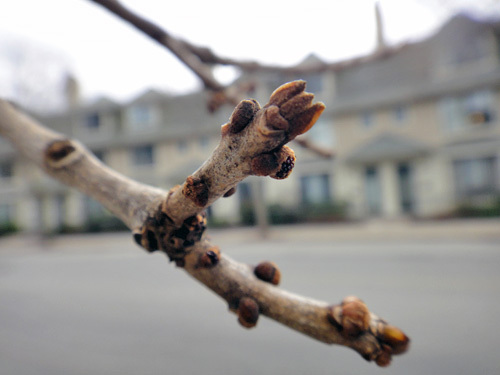 Here's how the buds looked on Saturday. 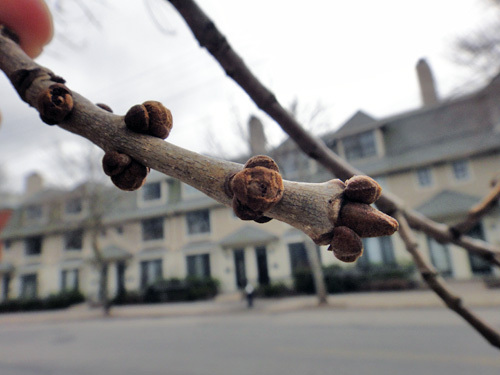 And here's how the same bud cluster looked this morning. Hmmmm. 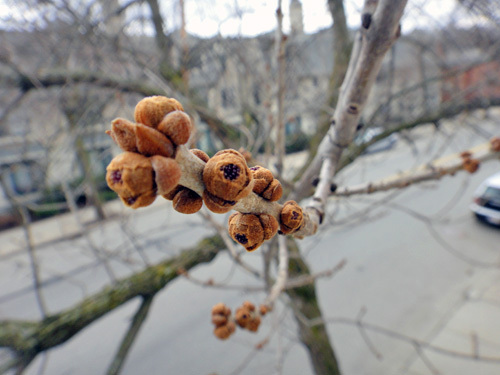 It's been mighty cold 'round here, so I guess these buds are waiting until spring returns to send out any more purple stuff. Elsewhere... I walked by some trees that I'd snapped some pictures of a couple of weeks ago. Back then, I took a tiny twig I'd found from a baby tree and was examining its structure. 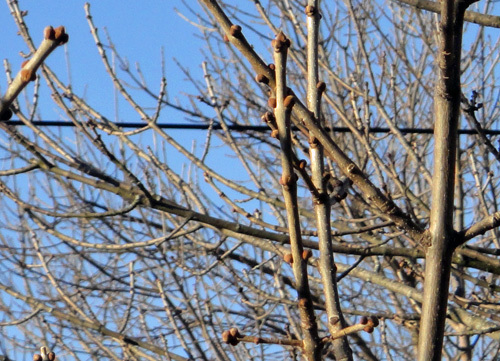 Well, this morning, it's fellow twiggies still on the tree look like this. It's story time once again. 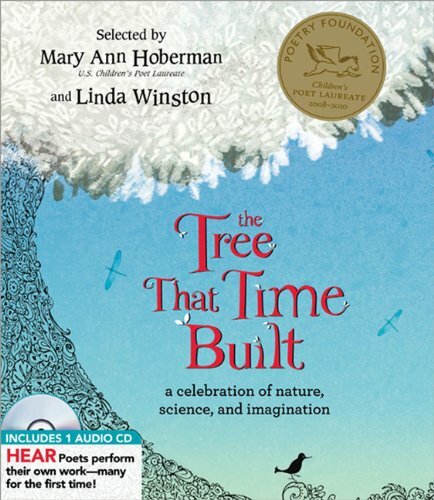 Today we're celebrating upcoming Natonal Poetry Month by reading The Tree That Time Built, a collection of poetry about nature (and trees) collected by US Children's Poet Laureate, Mary Ann Hoberman. 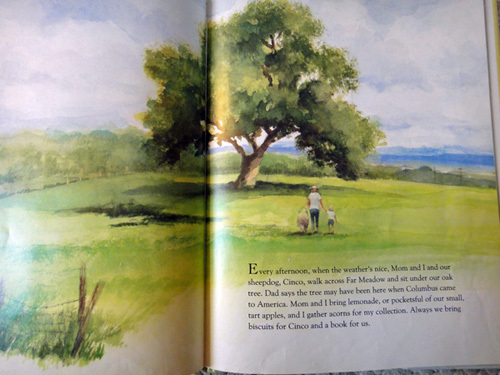 The book is divided into multiple chapters, each with a theme like animals, the sea, and trees. And new ones (many of which you can listen to on the accompanying CD). 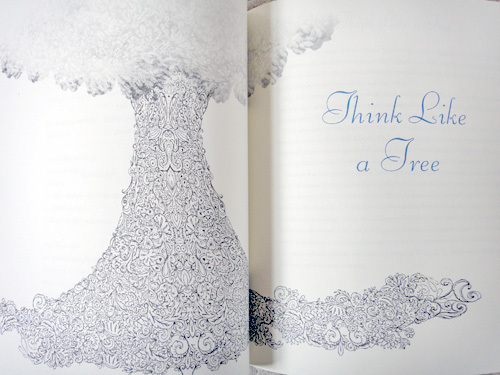 There are poems that speak about the magic of trees. 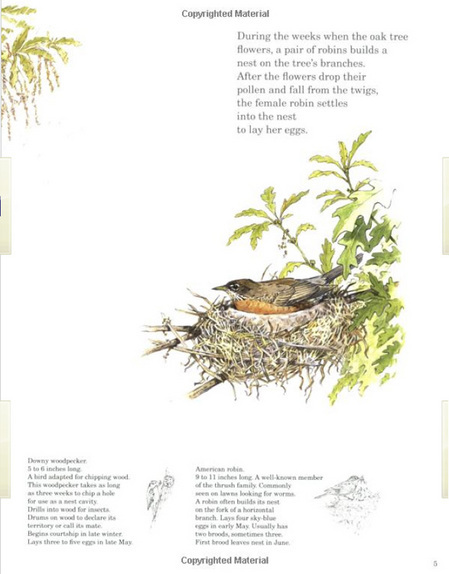 And poems that speak to kids about their role in the natural world. 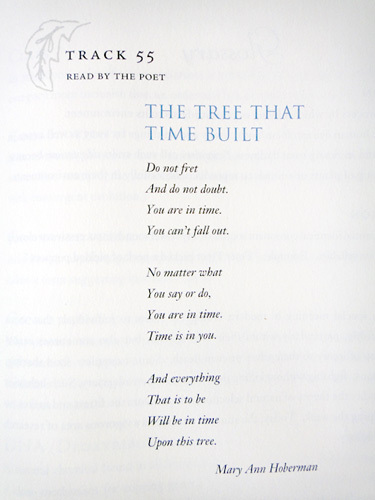 My favorite tells how a simple tree can inspire poetry. 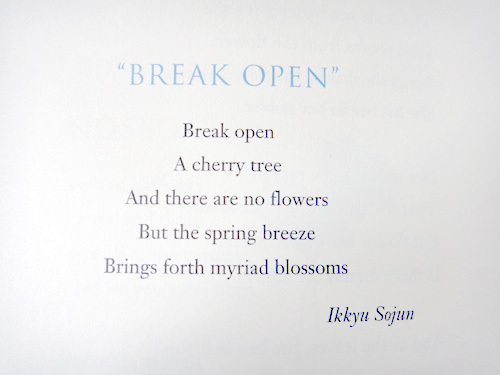 Take some time to read some poetry in April. 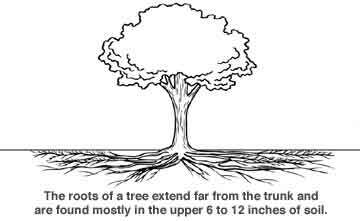 Or study a tree. It's the same thing. 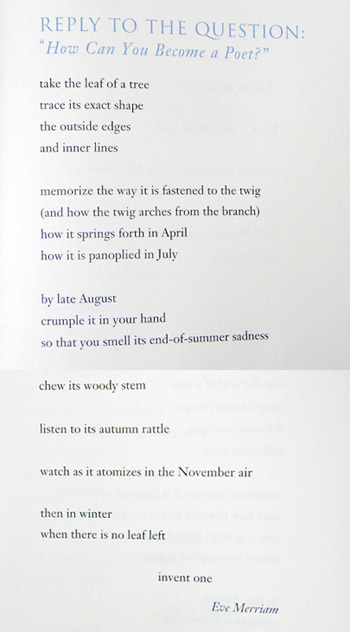 If you'd like to bring some more poetry into your classroom or into your children's lives, check out Mary Ann Hoberman reading from her favorite poetry collections or follower her on twitter, and check out poetry.org's tips for teachers. 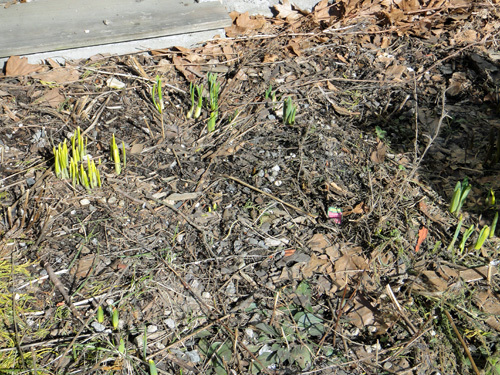 So just how far did the little purple things grow in two (rather chilly, rather cloudy) days? Here are some pictures I got on Tuesday. 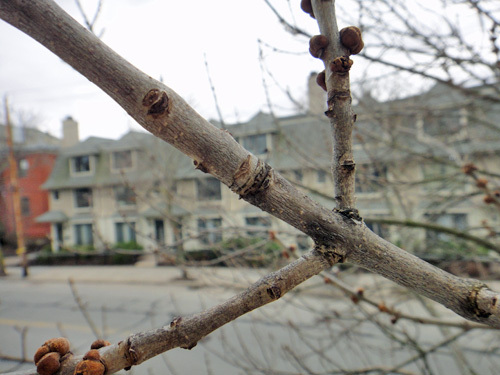 Well, these dark dots are on almost all of the buds now. They look like eyes opening. The ones that opened first look like they have grape jelly oozing out of them. What is that stuff going to be?! 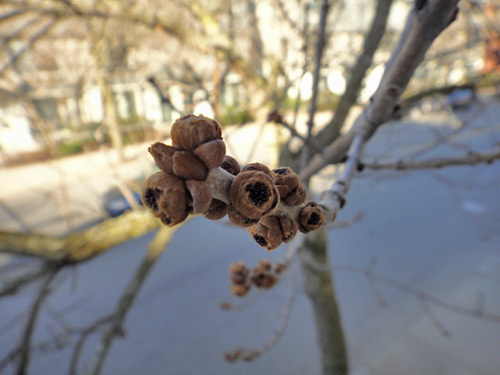 And if it is the flowers, will any of them turn into the galls that I've seen on my tree? That would be fascinating to see. And I wonder what effect this morning's snow will have on their growth. It certainly doesn't make me want to go out! I imagine it might affect them in the same way. 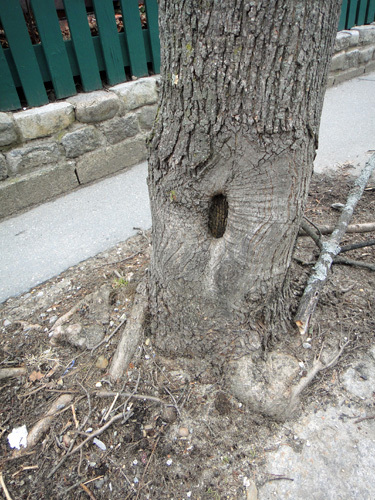 Here's a little tree I walk past every day as I walk my boys to school. 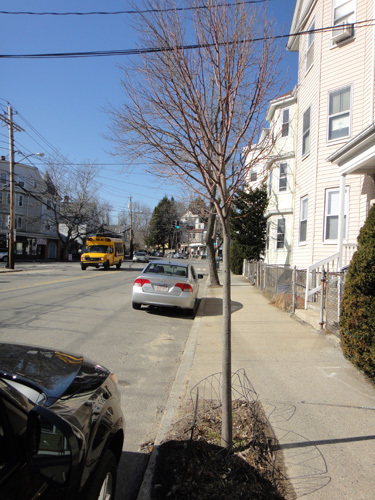 It was planted last year after the tree that used to be here was finally removed (it hadn't been growing new leaves for a couple of years). The tree is just so darn cute! And it's short enough that I can reach up and grab hold of a twig to get closer look. So I did just that. 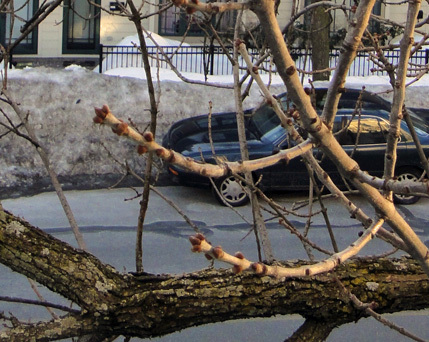 After about 5 minutes of observing and taking the following pictures, the owner of the house next to the tree called out the window: "Hey, Alison, what'cha doin' out there?" Oops, busted. It was so worth it though. 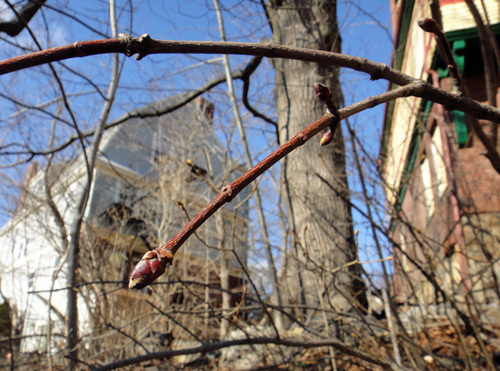 Just look at those fabulous oval peachy red buds! 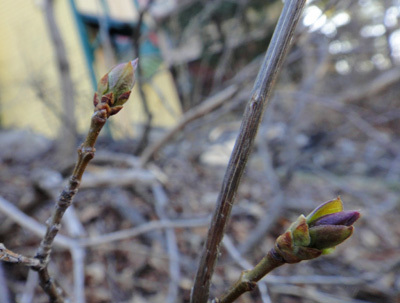 Beneath each of the buds is a little scar from where the leaf from the last season fell off. And that's where the new bud grows. Talk about healing! 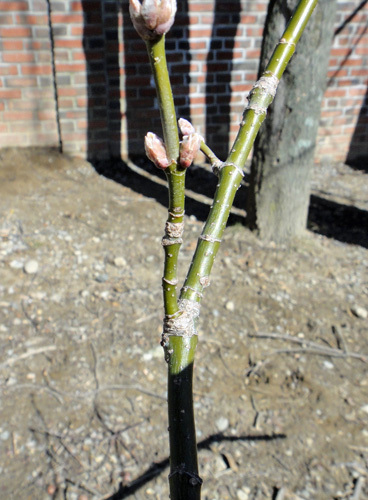 If you look at the bottom of that tiny stem the three little buds are on, you can see some gray ridges. My teacher tells me that that's where the growth from the previous season ended. It's a scar made from the new bud pushing out of the tip there. 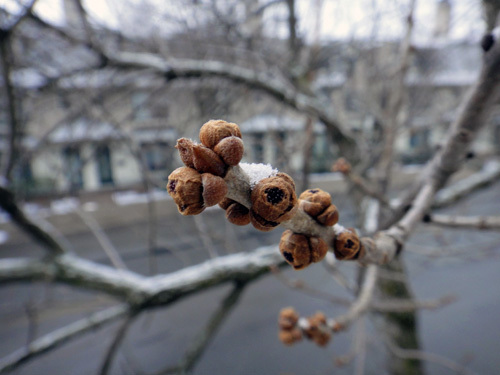 (I noticed a bud on my tree the other day that had me asking this very question!) 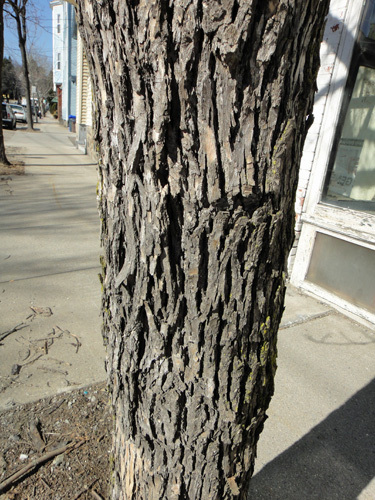 If we look down the length of the twig to find the next set of gray rings, we can see how far this twig grew last year. I think this gray bump above this sentence might be it. Wow. I don't even know what kind of tree this is, but it seems to me that that's pretty good growth for such a little tree. 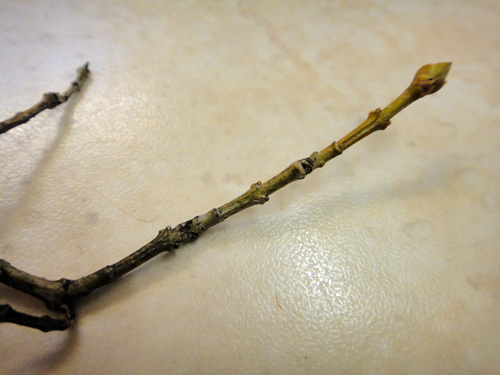 Now let's look at an amazing twig I found on the ground at the kids' school. 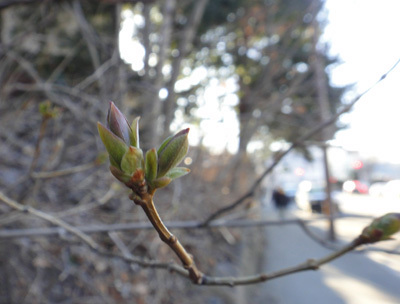 This twig was so long and so green, I had to take some pictures of it. And it had the coolest buds! They're sort of fuzzy. I'm a sucker for fuzzy buds! And, lookie, it has those growth scars as well. One more twig to investigate before we return home. This one caught my eye because the very tips of the buds looked like they might be green. Leaves, maybe??? 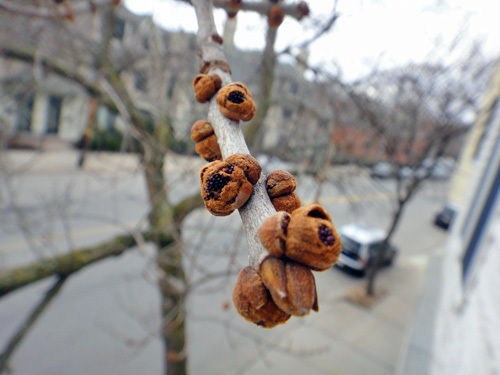 I've got a lot of questions about these types of buds. Is that a leaf? 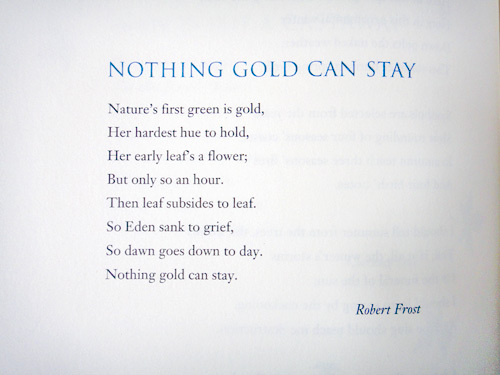 And if it is, is the whole leaf in there all folded and wrapped up already? And how does that brown part of the bud get wrapped around it like a screw? I love that there is something so perfectly wrapped and shaped like that in nature. 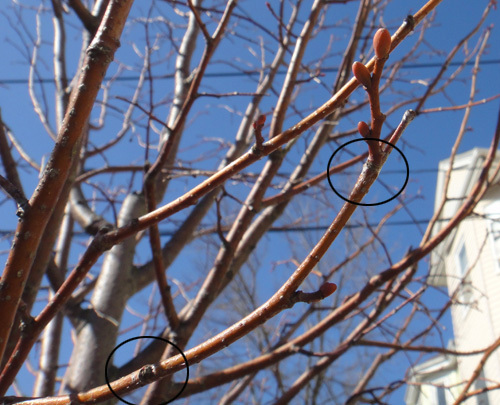 I see one area on the left twig there that looks like the rings of a terminal bud scar. 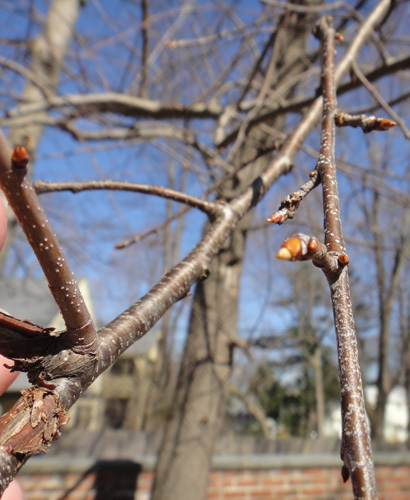 But what really intrigued me about this twig were all the little white dots. My twig has white dots that I really notice only when it rains. 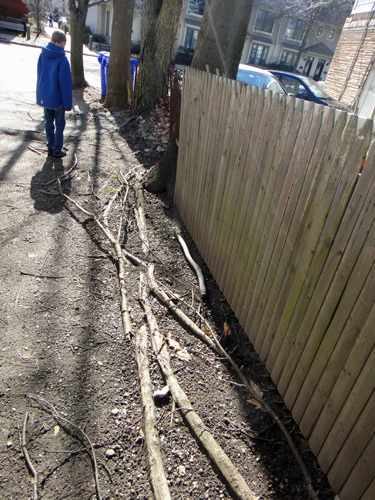 The other twigs above all have them too in varying amounts. You know what I think? 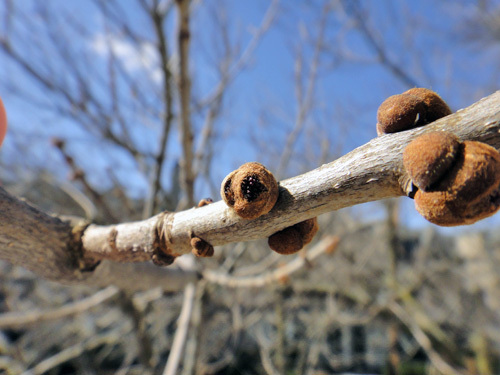 I think those are lenticels, which help the twig breathe. How cool is that?! For more information on things that are on twigs check out this diagram. 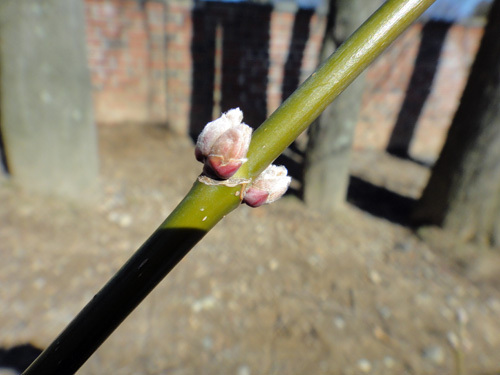 And right on time, the swollen buds from three days ago have started to open!! Little purpley things are in there! They look like they could be teeny tiny seeds or the beginning of flowers. 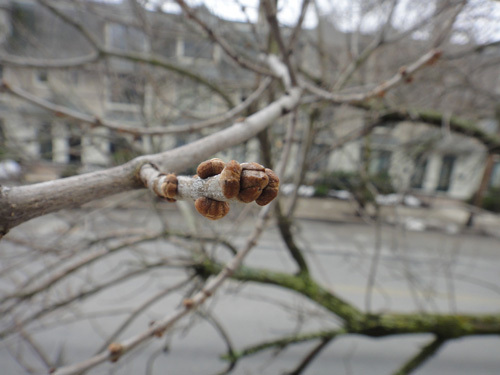 They're all bundled up in there and seem to be poking through the center of each swollen bud. This! is! so! exciting! Here's one that is just about to crack. 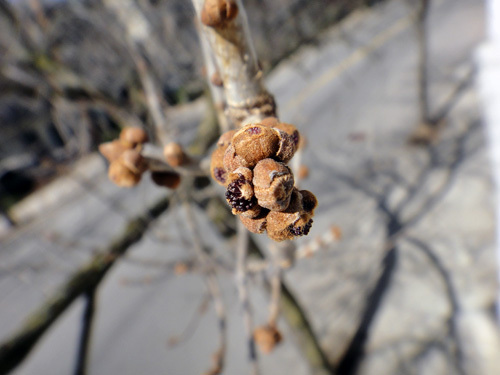 You can see a little dark spot at the center of the buds here, where the little purple seeds will soon be poking out. It's like watching a baby chick hatch. Come on, you can do it! 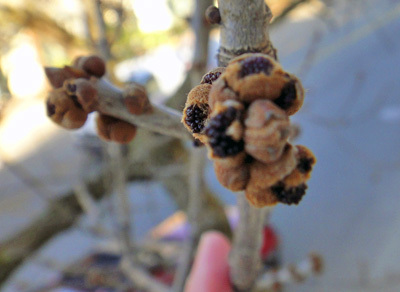 The lateral buds along the side of the branches are opening up too. If you look real close, it looks like the buds are even fuzzy. They are so different than they were just two weeks ago. 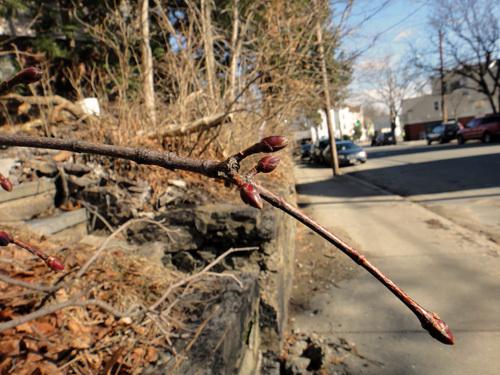 And what a change from the buds on the broken off branch I found in the snow a month ago. 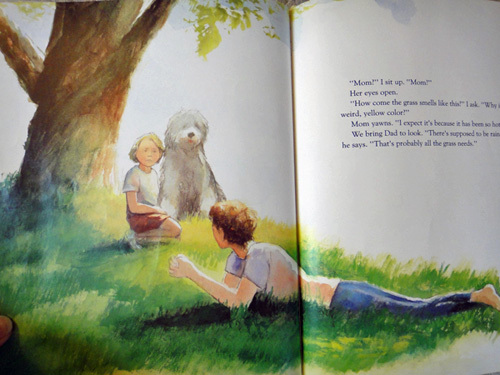 It's Saturday and you know what that means on the tree blog: story time. 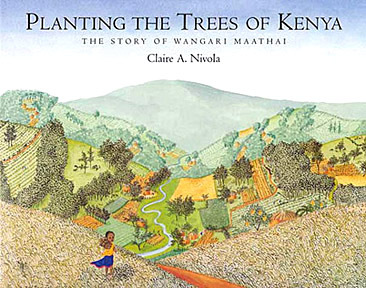 Today we're reading Planting the Trees of Kenya by Claire Nivola. This is the story of Wangari Maathai, environmental and political activist, founder of the Green Belt Movement in Kenya and winner of the Nobel Peace Prize in 2004 (the first African woman to ever win the prize). 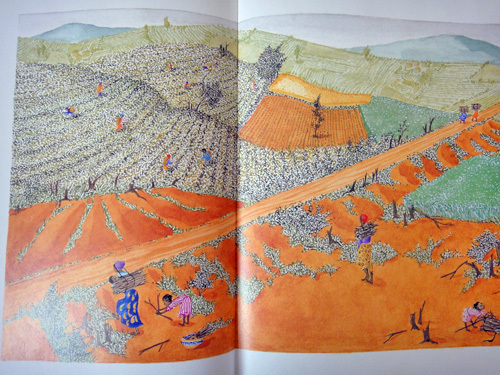 The story begins with the beautiful picture on the cover: "As Wangari Matthaai tells it, when she was growing up on a farm in the hills of central Kenya, the earth was clothed in its dress of green." 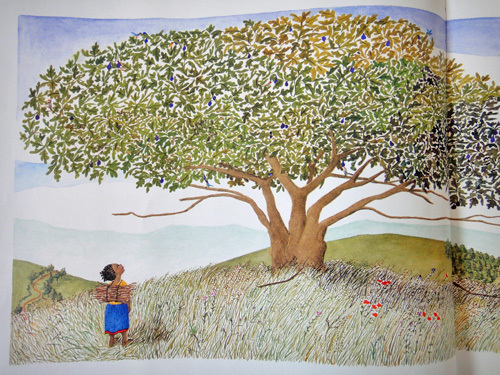 "The fig tree was sacred then." But when she returned, things had changed. "Wangari found the fig tree cut down....Where once there had been little farms growing what each family needed...now almost all the farms were growing crops to sell....She saw that where once there had been richly wooded hills with grazing cows and goats, now the land was almost treeless....Without trees there were no roots to hold the soil in place....Rain washed the loose earth into the once-clear streams....'We have no clean drinking water,' the women of the countryside complained." "Wangari was not one to complain. She wanted to do something....'When we see we are a part of the problem,' she said, 'we can become part of the solution.'" 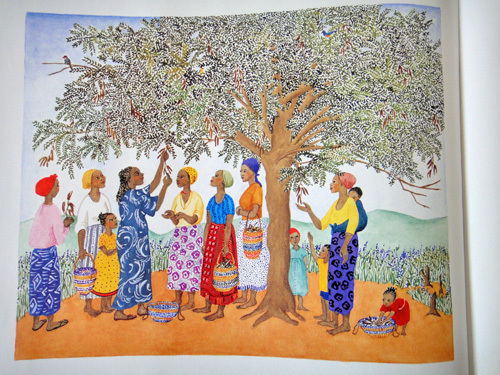 She taught the women how to find tree seeds and plant them, "growing seedlings, as if they were babies." They planted trees. Millions of them. 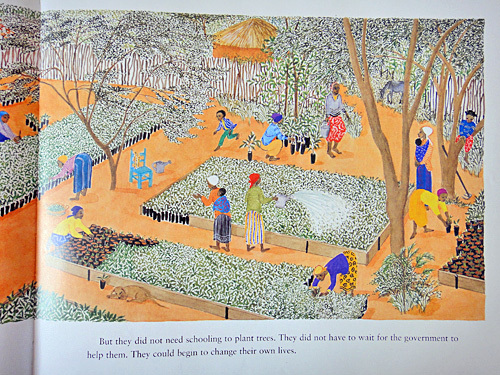 "Wangari gave seedlings to the schools....She gave seedlings to inmates of prisons and even to soldiers. 'You hold your gun,' she told the soldiers, 'but what are you protecting?'" "'When the soil is exposed,' Wangari tells us, 'it is crying out for help, it is naked and needs to be clothed in its dress....It needs its cloth of green.'" 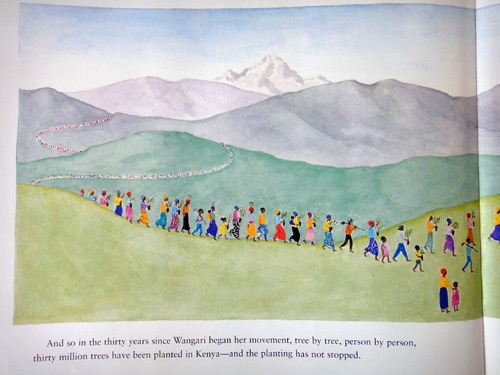 Wangari's message is: "Remember what millions of hands can do." And millions of trees. You can learn more about Wangari Maathai and find the text and video of her Nobel Prize lecture at nobelprize.org. Another excellent resource is a series of podcasts from Public Radio International's "Living on Earth," which aired in 2005 and profiled Maathai and the Green Belt Movement: part 1, part 2, part 3. 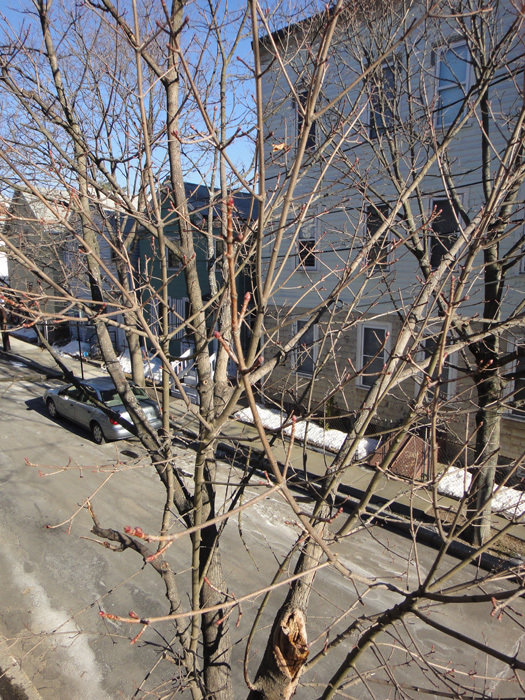 It's warm today (45 degrees F) and it's sunny. I think to myself, what is my tree waiting for? More light. Check. Higher temperatures. Check. So, let's go take a look. Those buds are definitely bigger! I've been checking every day, but maybe it's like a child growing up before your eyes: you just don't notice the subtle changes. 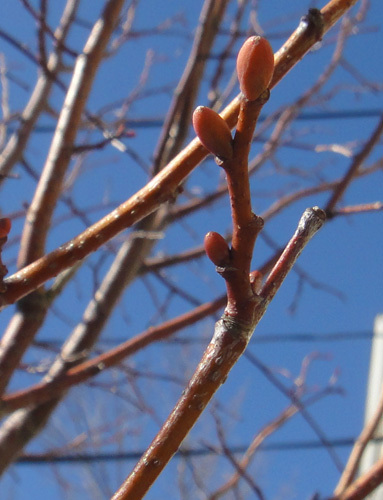 Today, in the sunlight, the buds look like they're almost swollen. Are they just waiting to burst?! At the very tip of the twig closest to the window, I see this. Doesn't the top bud look like it's about to crack open? It's got sort of a plus (+) shaped ridge on the tip like a phillips head screwdriver. And that little nail looking thing in front of the bud looks different than the rest of the bud and twig. It looks smooth and shiny, not dried and rough. Could that be something growing?! A little look back in the blog reveals that this was here two weeks ago, but I hadn't noticed it then. Could it be lighter now? Larger? I'm not sure. Here's another tip on an offshoot from my twig. This one has that little nail thing too, although it looks more like the rest of the bud. 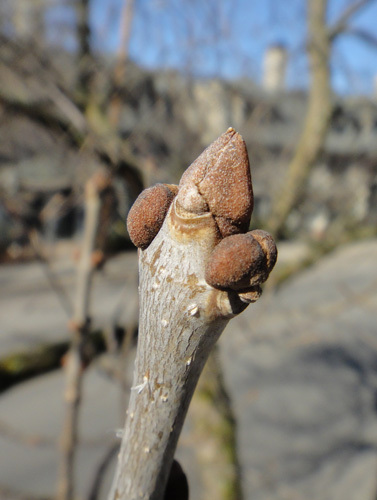 Looking at it up close like this, it looks like the bud is breaking through the tip of the twig, doesn't it? 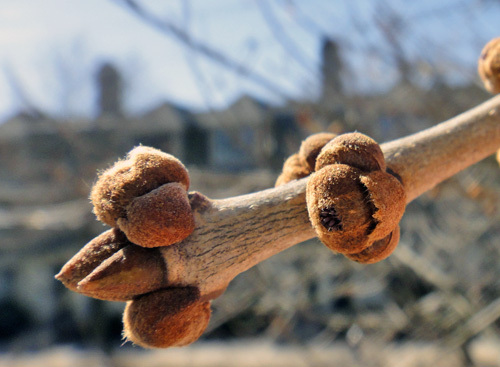 I hadn't really thought about how the buds were attached, but this looks like it's pushed it's way out and that little nail thing is something leftover from when the tip was closed or maybe covered with a smaller bud. Hey, that's a good question: are these buds getting longer? I've actually been looking for the pointiness of the buds to go away. My thinking was that they would start to open and so the point would go away. 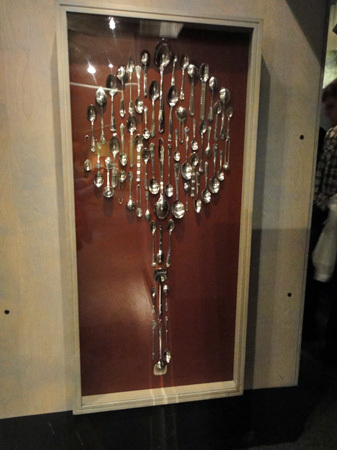 But I haven't seen things getting less pointy. 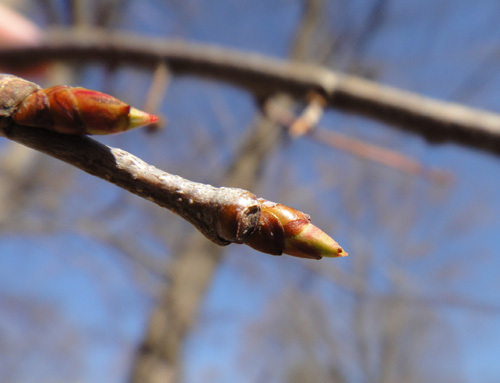 In fact, it might just be that the buds are getting more pointy. Could they be looking more pointy because they are growing taller out of the tip of the branch? I feel like something could be about to happen! It's St. Patrick's Day today and we're all wearing green. 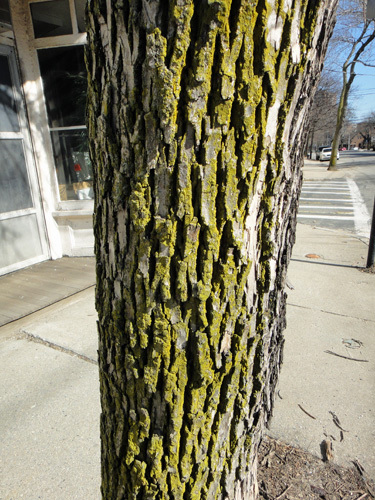 How long until the tree will also be wearing green? Story time, boys and girls. 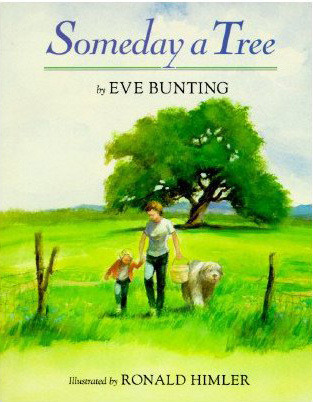 Today, we're reading Someday a Tree by Eve Bunting. 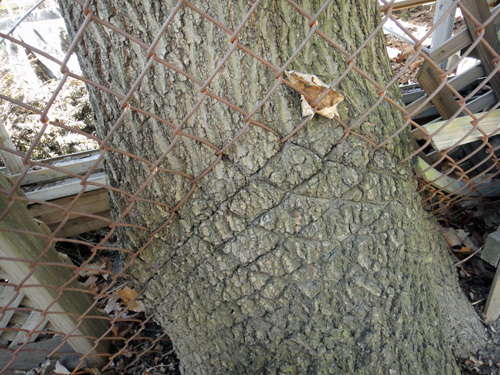 This is a beautiful and sad and sweet story about a little girl and her beloved oak tree. 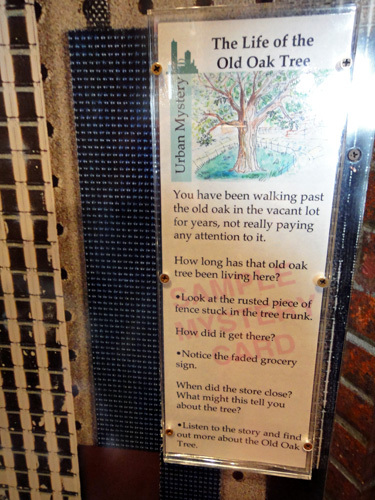 The little girl's family owns the land where the big oak tree has been growing since Columbus came to America. 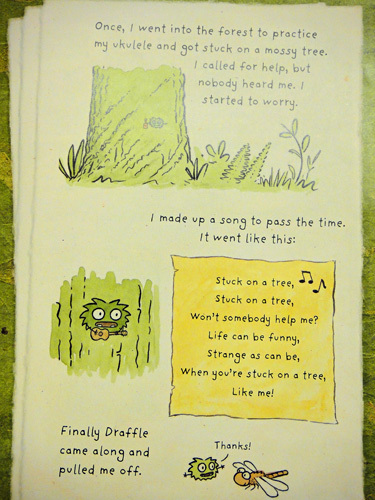 (Tree time is an amazing concept, isn't it?) They sit under the tree every afternoon to have a picnic or to read. Her favorite thing to do is to lie under the tree and stare up at the sky. One day she rolls over and notices that the grass smells funny and looks yellow. 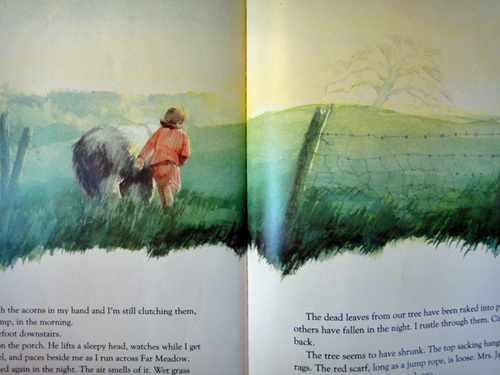 She asks her mom, who suggests that it's been too hot and the grass just needs some rain. 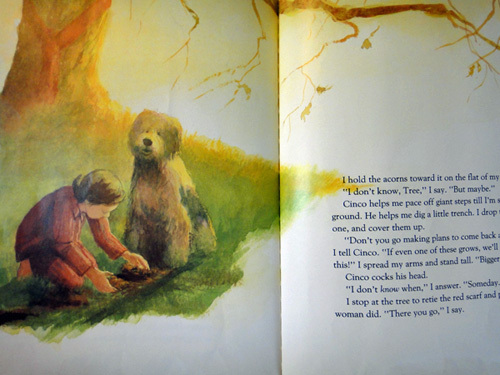 But the yellow stain spreads. 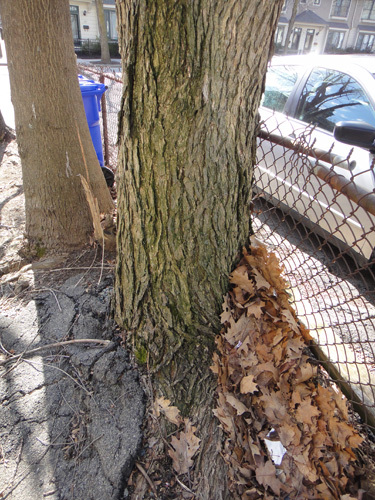 The leaves on the tree are drying up and falling off, even though it is spring. 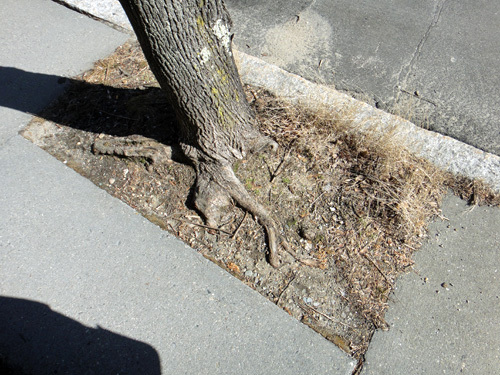 They call a tree doctor, who determines that the soil has been poisoned, perhaps by someone dumping chemicals on the side of the road. Everyone comes together to try to save the tree. The contaminated soil is removed. Parts of the tree are wrapped to protect them from the sun. Some one brings a balloon for the tree. And a woman even wraps a scarf around the trunk: "It never hurts to muffle up." 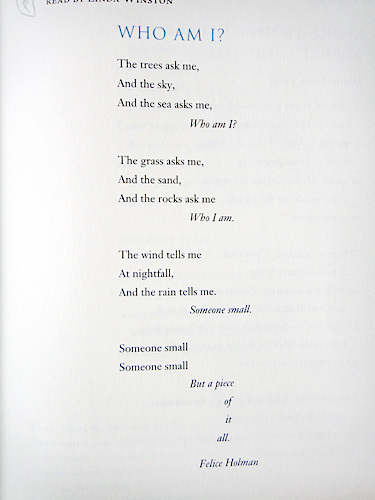 But it seems that the rain has caused the poison to soak into the soil. 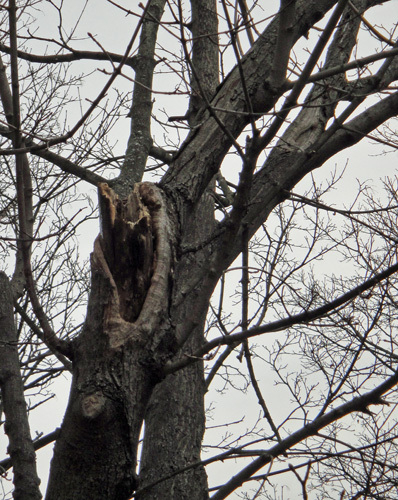 The tree is dying. 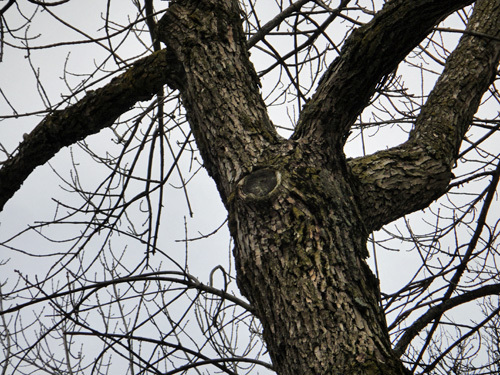 The little girl looks out her window at the tree one night, saddened by the realization that the tree won't always be there like she had always thought. Then she remembers her acorn collection. 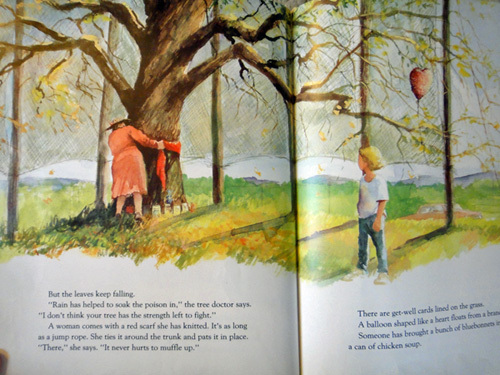 The next morning, she rushes out to the tree with her acorns. 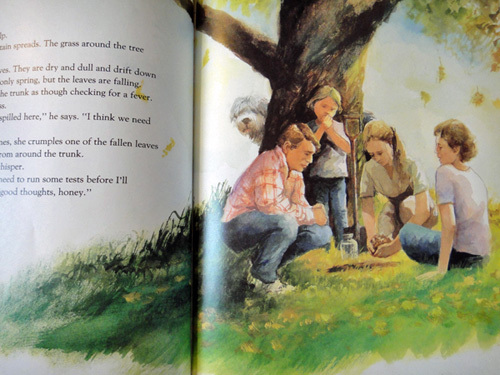 She finds some healthy ground, digs a hole and buries her acorns. She tells her dog that "If even one of these grows, we'll have a tree, big as this....Someday." 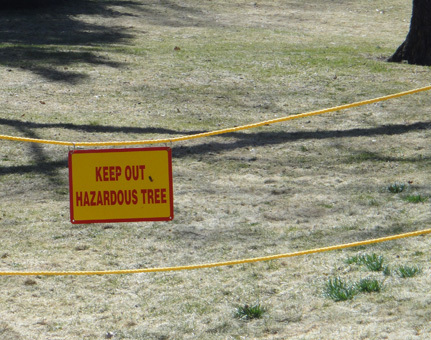 Apparently, a watched tree never sprouts. 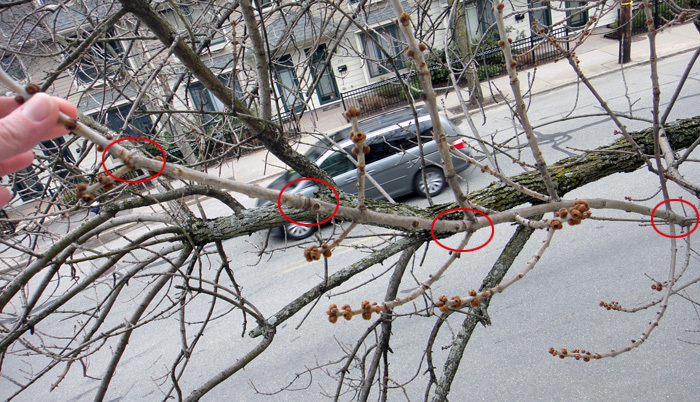 Despite my hyper-vigilance, I can detect no sprouting currently going on in my tree. 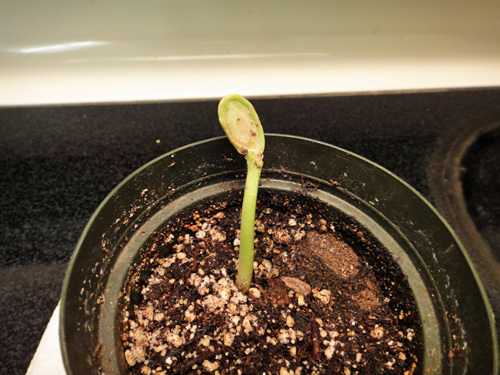 (Frowny face) But there is some sprouting going on in the house! My son, S, is doing a little science experiment. 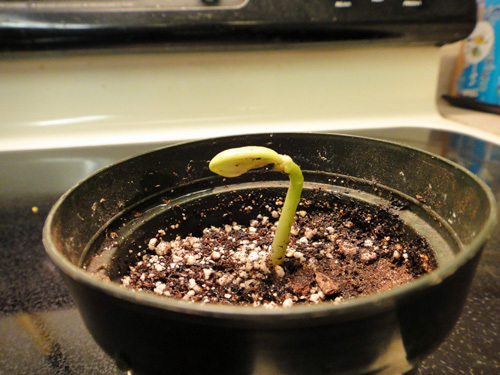 He helped out in my science class (the one I'm writing this blog for) and got to plant a seed and bring it home. 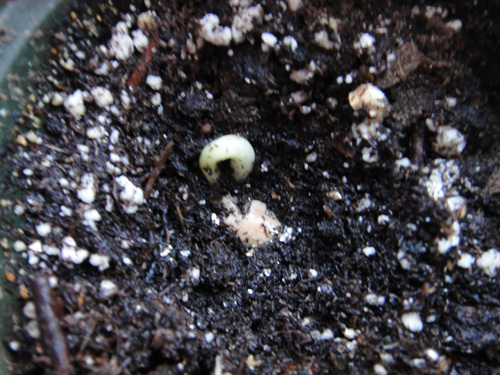 He said his seed looks just like "a Mexican jumping bean" and he couldn't wait to see if it would grow. After a week, we spotted this. 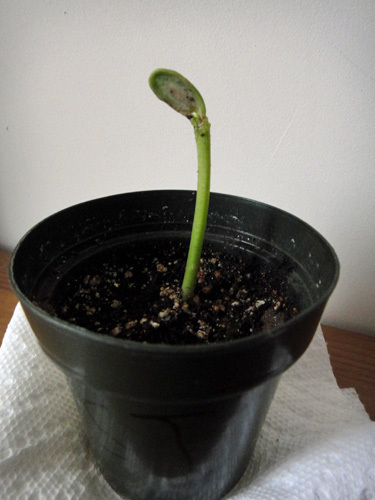 Lookie, it's growing! It seems like it's trying to stand up from having been curved. And is that a leaf on top?? One more day, and it's all straight straight. And now that we can see the top thing clearly, it looks like it's actually part of the bean. How odd! Is the whole thing growing down from that part? Or is it growing up and taking that part with it. For what? Food? A couple more days and it just keeps getting taller and greener. We can't wait to see what will happen next. S's big question is: will it jump? 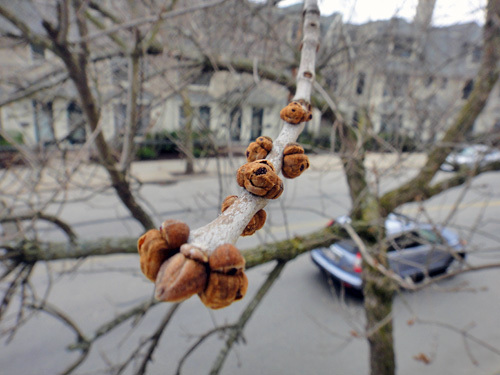 Time to check the buds on my tree. I so want to think that that one is cracking open, but I'm not sure that that bud hasn't looked like that the whole time. 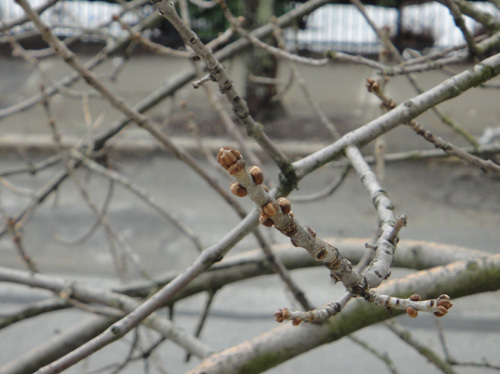 You can see that each of these terminal buds has two big, plump looking buds on either side of it and, if you look real close, it even seems to have a little top wing and bottom wing. Are they pulling away from the center bit? Is the center maybe growing away from them? Will those top and bottom wings become big plump buds too? And how is all of this going to make a flower? Or a leaf? 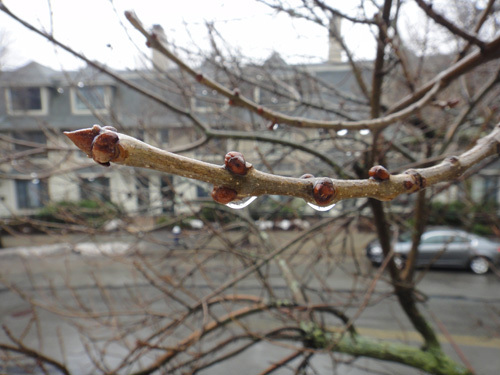 Here are some buds on the twig I'm watching. 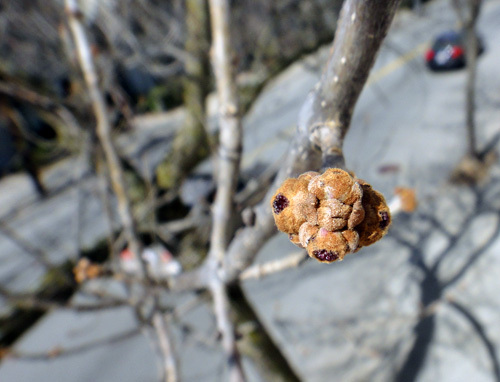 You can see here that there are some color variations within the bud itself. 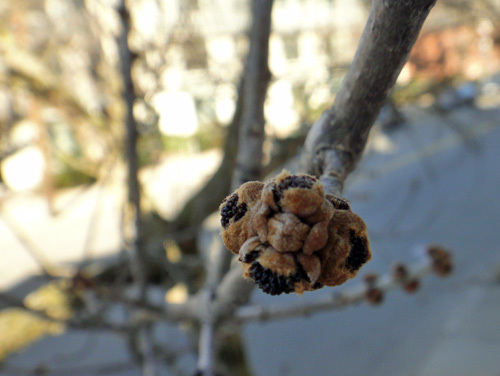 The big, plump side buds are darker brown on the edges and a lighter beige in the middle. Is this bud-set further along in its development than the one above? The two little wings do seem farther away from the terminal bud in this set. 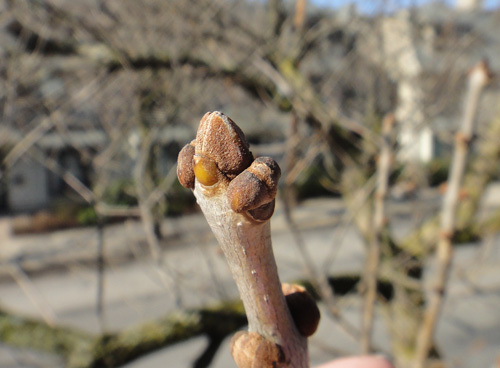 And even the buds on the side of the twig here seem to show this color differentiation. 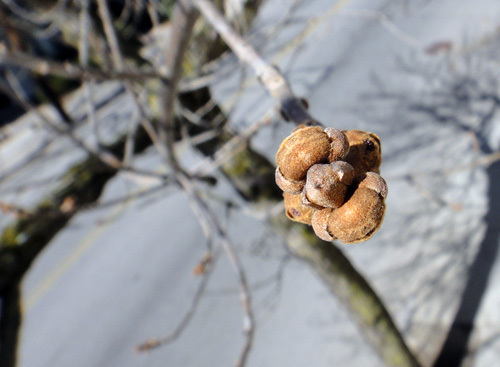 It almost looks like a nut, when you crack it open and the darker outer shell reveals a lighter nut inside. Is that what's happening here? Is it opening? And is any of this really a change from before? 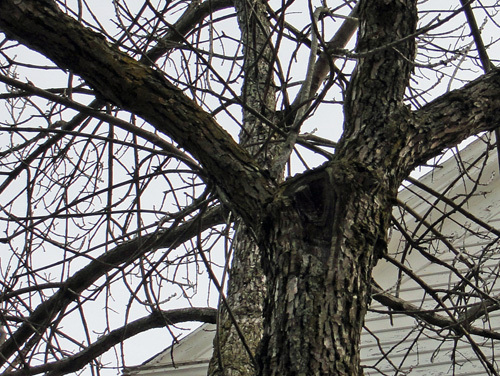 Here's a zoomed-in section from a photo I took of my tree in the middle of February before I figured out how to take awesome close-ups. 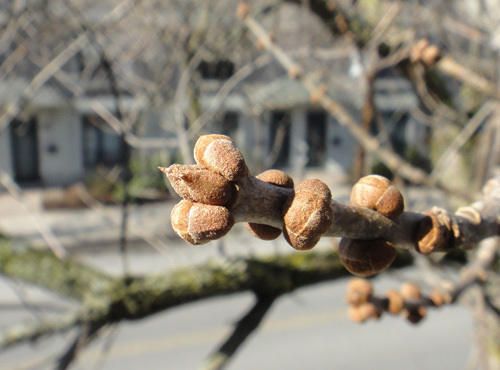 These terminal buds might be a little pointier, but the buds right next too it look pretty plump and the side buds look like they could have that lighter-colored center. 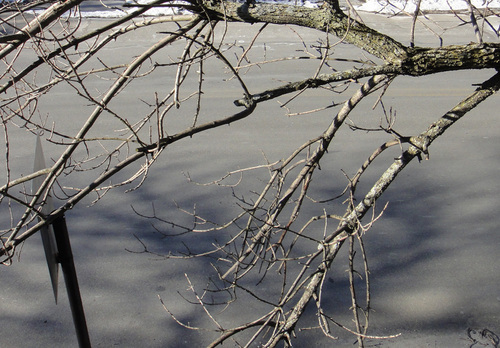 And here's a section from a photo I took of my twig way back when I began the blog. Looks really similar. I wish I could say there are some real changes here, but I'm just not convinced. 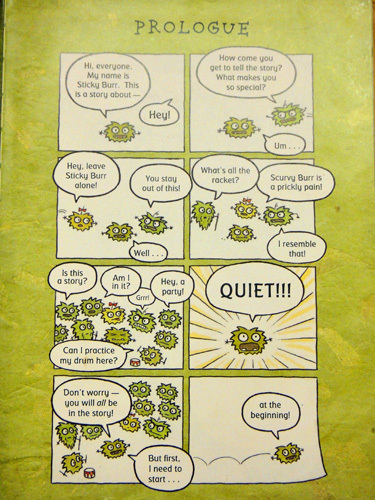 Story time! 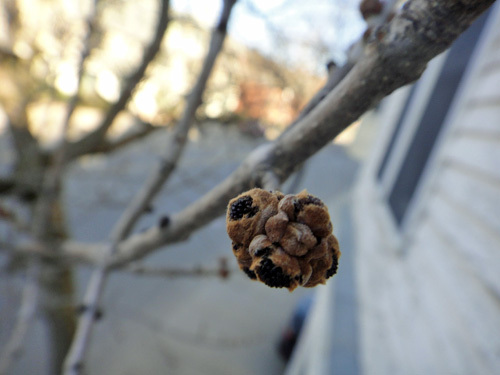 This week on the tree blog I asked a lot of questions and made some amazing discoveries about the mysterious sticky burrs on my tree, so I thought it'd be appropriate to read a story about a sticky burr. 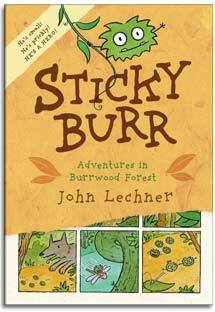 This week's book is a comic book that my two 9 year-old boys love: Sticky Burr: Adventures in Burrwood Forest by John Lechner (which has a sequel Sticky Burr #2: The Prickly Peril ). 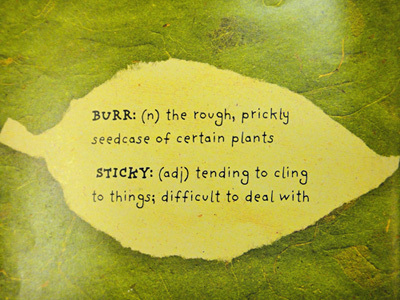 The first book opens with the definition of sticky burr. Finally! 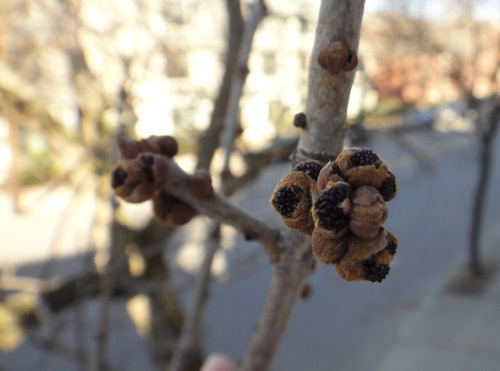 I keep using that word because that's what the flower galls in my tree looked like to me, but I couldn't quite say exactly what a sticky burr was. 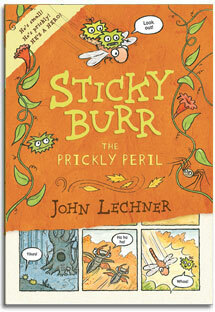 The story is about one sticky burr in particular, the aptly named Sticky Burr. Here he is to tell us some more about sticky burrs. Turns out sticky burrs are prickly in more than one way. They also argue and some of them like to be mean and snag on things to annoy other animals. Sticky Burr, however, is a good burr. 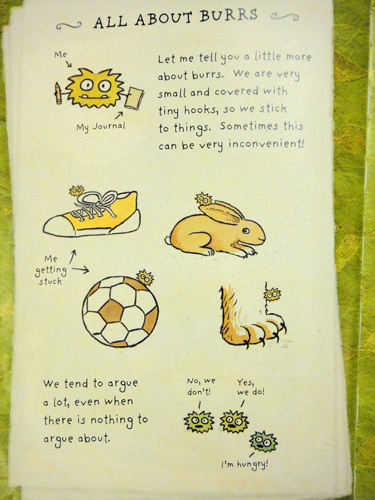 So this is the story of Sticky Burr, who has an adventure. 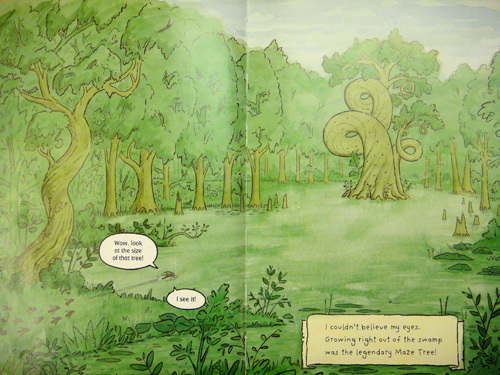 He and his dragonfly friend, Draffle, fly to the legendary Maze Tree. Cool tree, huh? 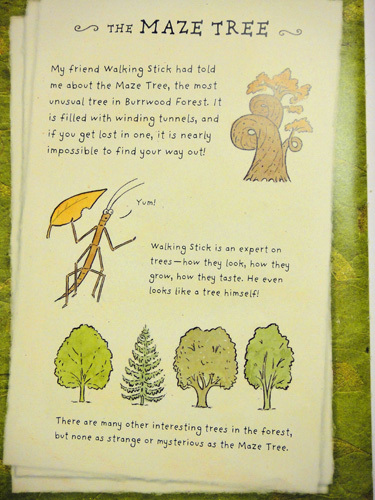 Sticky Burr's friend, Walking Stick, will now tell us a little something about trees. 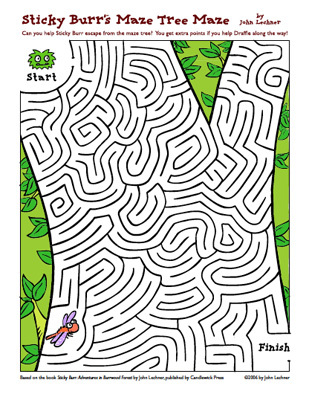 So Sticky Burr gets lost in the maze of holes and tunnels in the maze tree, but he's a clever burr, so he manages to find his way out and rescue a group of lightning bugs along the way. They, in turn, come and rescue Sticky Burr when mean old Scurvy Burr tries to kick him out of the forest. Hooray. 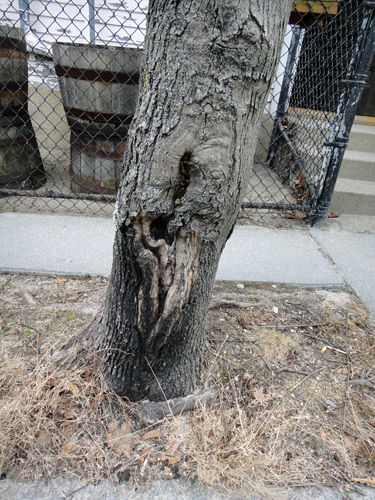 Turns out Sticky Burr got into a sticky situation with a tree once before. And there's a movie! It's so cute. You gotta watch it. Seriously, go now. So, that's the whole Sticky Burr empire. Who comes up with a whole sticky burr empire? 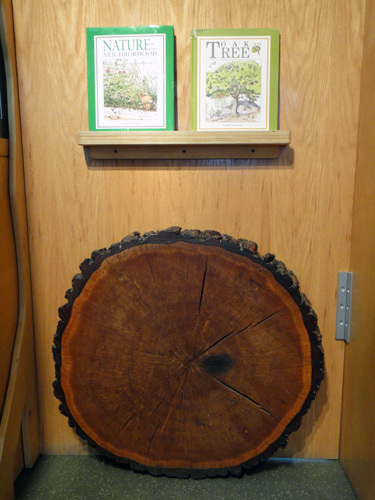 The author, John Lechner, is obviously unbelievably creative and all his work seems to focus on the natural world. Check out his own blog, the Untended Garden, where he explores nature in books, art, films and new media. It's the sticky burrs! 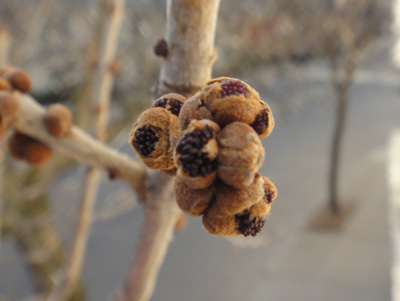 She called them ash flower galls and said that now that she knew what they were, she was seeing them everywhere. OMG, she knows what they are! Here it was, the mystery of the sticky burrs, almost revealed. Okay, are you ready?! 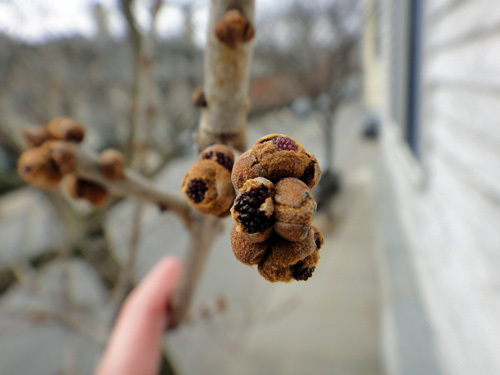 The discovery of the ash galls led me to learn another fascinating thing about my tree. 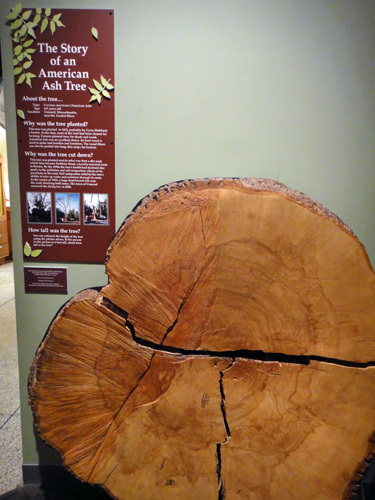 I have a BOY ash tree. Who knew that trees were boys or girls?? 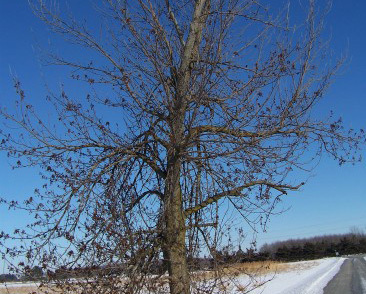 Apparently, ash trees are dioecious, which means a single ash tree will produce either only male or only female flowers. And these little mites only eat and grow on the male ash tree flowers. So, not only was I wrong about the sticky burrs, but I was also wrong to declare my tree a girl back when I introduced her, um, him to you. Well, consider my little tree-observing world rocked.